South Salt Lake • The driver of the stolen vehicle was trying to evade police. Courtesy of KUTV 2News Police say a motorist is dead after being hit by the driver of an allegedly stolen car. Courtesy of KUTV 2News Police say a motorist is dead avter being hit by the driver of an allegedly stolen car. Kenneth Ross Gray Courtesy of KUTV 2News Police say a motorist is dead after being hit by the driver of an allegedly stolen car. 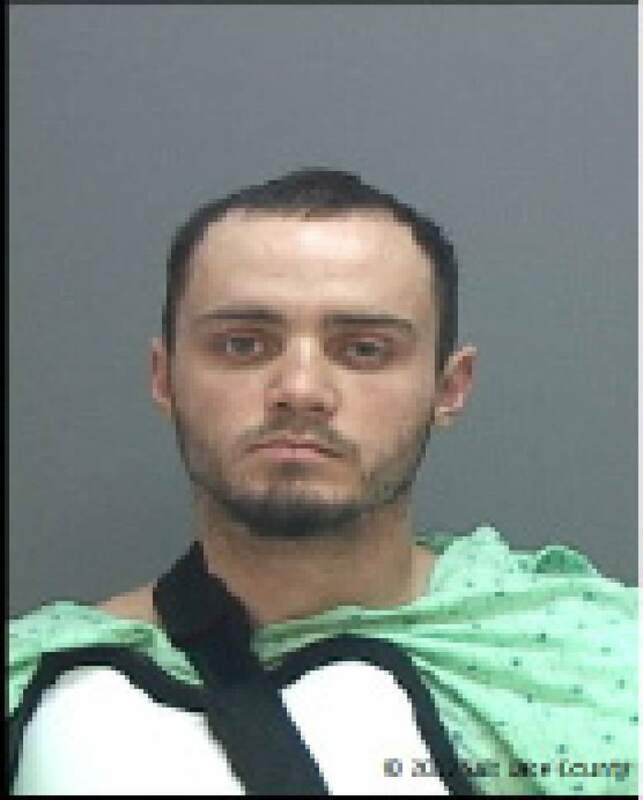 A West Valley City man was charged with murder Friday for allegedly crashing a stolen SUV going more than 100 mph into a car in South Salt Lake on Jan. 8, killing the car&apos;s driver. In addition to the first-degree felony murder charge, 23-year-old Kenneth Ross Gray faces five other charges in 3rd District Court: second-degree felony counts of transferring a stolen vehicle, failure to respond to an officer&apos;s signal to stop resulting in death and aggravated assault; and third-degree felony counts of aggravated assault and leaving the scene of an accident involving death. Micheal Green, a 36-year-old man from Farmington, was ejected from the car, according to South Salt Lake police spokesman Gary Keller. 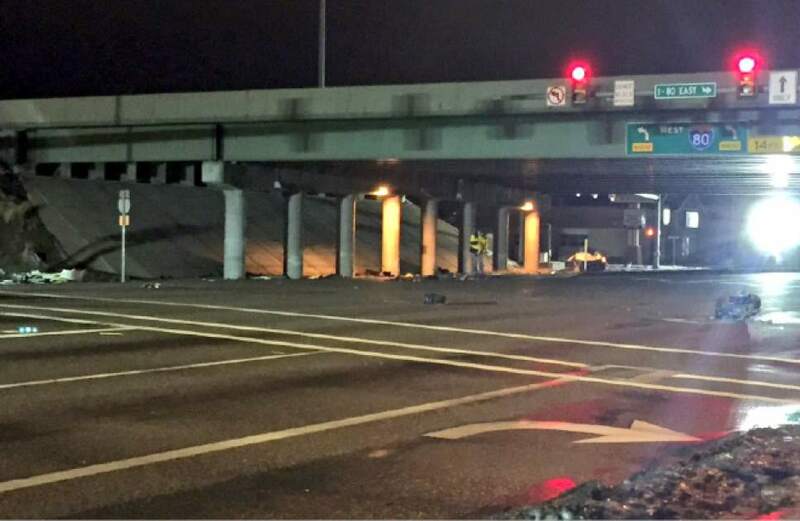 Green, driving for a ride-hailing service and the only occupant, died at the scene, under the Interstate 80 overpass near 2400 South State. After striking Green&apos;s car, the SUV dragged half of the car along with it, Keller said, scattering debris across traffic lanes for 200 to 300 feet. Green&apos;s car was so badly damaged that police could not confirm that he was wearing a seatbelt, Keller said. 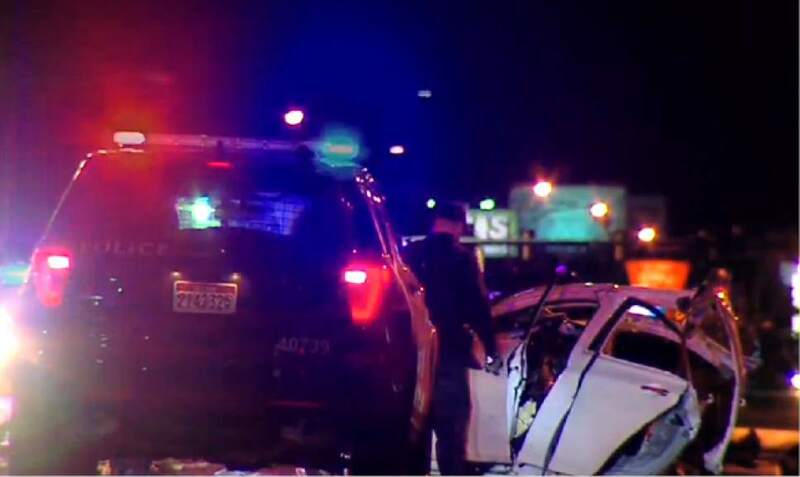 Just prior to the 11:50 p.m. collision, Salt Lake City police spotted the stolen SUV at a motel near 1400 South and State Street and saw and three people get into it, charges state. Officers attempted to stop the car from leaving the parking lot, but the SUV "evaded the police vehicle, failed to yield and fled" south on State Street at a "high rate of speed." Gray was driving and another man and woman were passengers, charges state, when it crashed into Green&apos;s car. A crash reconstruction analysis based on surveillance videos and physical evidence determined the SUV was going about 106 mph when it struck the car, according to charges. Officers and witnesses saw the SUV run at least three red lights before crashing into Green&apos;s car. Gray&apos;s two passengers both told police they met Gray earlier that day. The woman, who suffered a nasal fracture in the crash, told police Gray was the driver and had used methamphetamine 10 to 15 minutes before arriving at the motel, charges state. The male passenger, seated in a rear seat of the SUV, suffered a broken hip and fractured vertebrae, according to charges. He told police he saw the unmarked police car at the motel try to stop the SUV, but Gray instead drove over a snow bank to flee. The passenger did not see police following them, charges state, and told officers that all three had used meth throughout the day. Although Gray was injured from the crash, he left the scene of the collision on foot, charges state. He stopped about a block and a half away and called 911 when he realized his injuries were too severe to continue fleeing, Keller said. Police apprehended him at 220 E. Morris Avenue. In the SUV&apos;s center console, police found a glass pipe with white residue that appeared to be meth, charges state. They also found a black purse, which contained a glass vial with a "white crystal substance," which field-tested positive for meth. When Gray was arrested, he told police he had been driving the SUV, that he knew it was stolen and had taken meth 20 minutes before the crash. He has a record of drug-related felony convictions dating back to 2013, and is currently on probation, according to court records. He also has pleaded guilty to felony attempted theft and two misdemeanor cases of failing to stop at the command of police. Gray is being held in Salt Lake County jail with $1 million cash-only bail.